● Fiat ECU Scan FiatECUScan MultiECUScan Comaptible Interface Alfa Romeo / Fiat FTDI chip, FT232RL chip VAG KKL USB OBD2 Fiatecuscan Finally, get rid of airbag error from your dashboard easily! 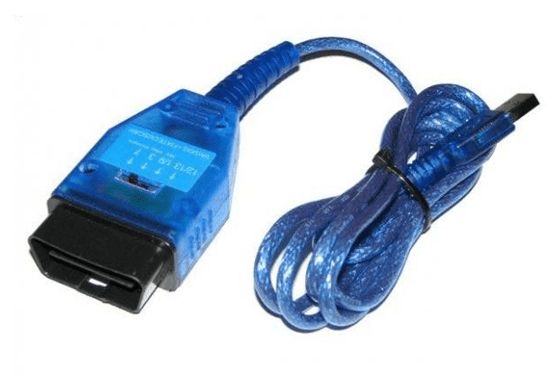 ● Brand new diagnostics OBD2 Vag KKL cable for your Fiat, Alfa Romeo or Lancia! ● No need for special pin connecting and expensive adapters! ● Works great with FiatEcuScan and MultiEcuScan. Why buy KKL from us? 1.100% Original FTDI 232RL Chip,Most of KKL in market from other suppliers use fake FTDI chip which many function will not be able to apply or very low quality and short life length. 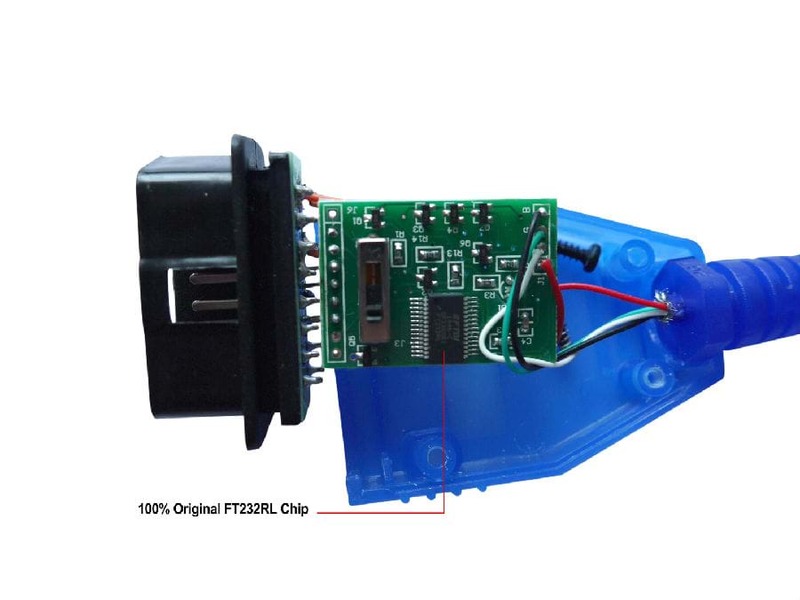 2.We Sell more than 150,000pcs KKL every year,back repair rate is almost "Zero"
Fiat ECU Scan FiatECUScan MultiECUScan Comaptible Interface Alfa Romeo / Fiat FTDI chip, FT232RL chip VAG KKL USB OBD2 Fiatecuscan Finally, get rid of airbag error from your dashboard easily! Brand new diagnostics OBD2 Vag KKL cable for your Fiat, Alfa Romeo or Lancia! No need for special pin connecting and expensive adapters! Works great with FiatEcuScan and MultiEcuScan. You will receive OBD2 Cable and mini disc with basic software and drivers. Works with Windows 7, 8, Vista and XP. 32bit and 64bit support! Added 4 pin switch - easily switch between ABS, AirBAG, ECU, Gearbox, Climate Control etc. Autodiag is the best supplier in china,before i found them,i already in this business for years,honestly,compare to Autodiag,all other company is crap. Before we are not sure business with Autodiag,After we see their factory,we want to business with them and want to more in future!
? ?ShenZhen Autodiag Technology Co., Ltd was established in 2004,Specialized in Auto diagnostic Products more than 10 years. Our factory is SGS certificated factory with 200 employees , we have a 8 professional technicians R&D Team which is rare in the whole industry, the workshop occupy an area of 5000 square meters, the annual production output was more than 1 million items which 30% are new products. we have our own brand V-Checker and we are able to do OEM or ODM. More importantly, We have very strict quality control system. From very strict factory QE Process to Authority products certificate, SGS,CE, ROHS and UL Tests, Meanwhile, We have very good cooperation with Launch, Autel and YanHua ,we are authorized dealer of these brands. We have 10 years successful foreign trading experience ,have build good partnership with clients from 35 different countries, Now we have official distributors in Poland, Germany, Spain, France, UK ,Argentina and New Zealand ,Clients come to visit every month and we have been to different countries to hold exhibition, Such as Automechanika 2012&2014 in Frankfurt, and now we are preparing for the next AAPEX Show in Las Vegas. Reliable quality products, best price, professional technician& customer service, ability to develop new products, fast and safe delivery, Life long products warranty make us best diagnostic tools factory in Shenzhen ,and our goal is be the BEST auto diagnostic factory in china, Be clients’ best supplier in the world! Factory Address: 1st FL,Building 2,Fumin Industrial Park,PingHu,LongGang District,ShenZhen,China. Company address:9005-9008 YouSong Business Plaza,LongHua,ShenZhen,China.